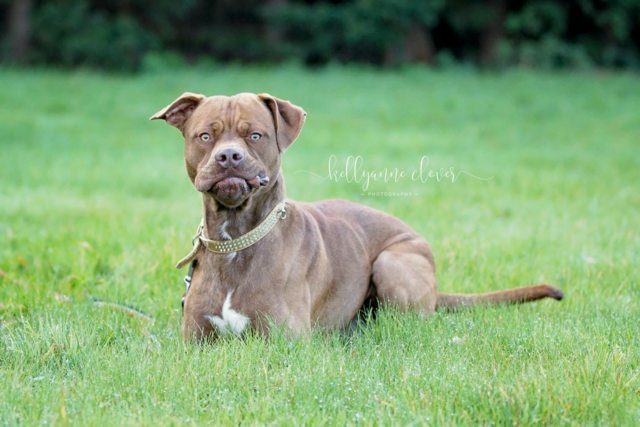 My name is gorgeous George and I am a year old Boxer cross Mastiff. I have been neutered, vaccinated and microchipped. 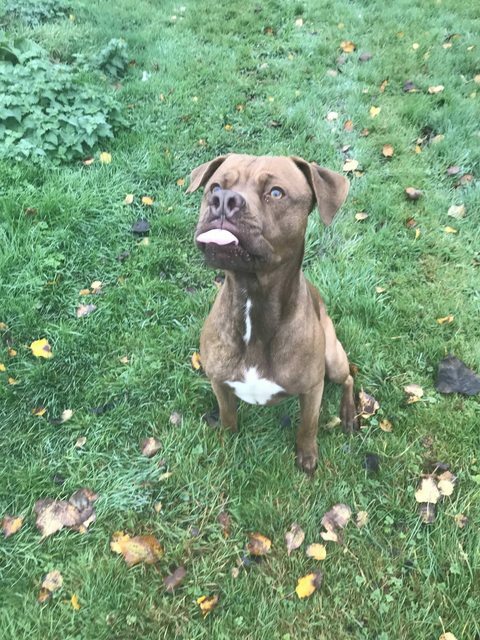 I am an extremely friendly and loving hunk of a dog and I’m very enthusiastic in my greetings, meaning I might be a bit too much for very little people. I am friendly with dogs that are friendly to me and I could live with a nice playful girl dog. I am a clever boy who knows sit and I love to play fetch and bring the ball back and drop it ready for you to throw. Even though I have been starved I am not food possessive. I love treats and will do anything to please apparently I am a ‘pleasure to train’. If you are looking for a happy, friendly and loving dog for long walks and cuddles on the sofa, please pick me. I have lived in a home and I am clean in my kennel and good in the car. If you can’t adopt me, please share me with your friends. Lots of love Gorgeous George.